Teachers, parents, and administrators can likely recall extensive use of grammar drills and “Daily Oral Language” (D.O.L.) sentence corrections from their own English classes. These traditional approaches may have included memorizing parts of speech; reciting grammar rules; sentence diagramming; and correcting poorly-written sentences from worksheets or rule books. But research dating back over fifty years (detailed by Patricia Dunn in her 2014 post) shows that these “out-of-context” approaches do not improve writing. Indeed, students completing isolated grammar drills or fixing sentence errors are not thinking about writing. When they do write, an intense focus on parts of speech or the diagramming of each sentence is not helpful. How can we help students improve their writing while also helping them to understand how language works? 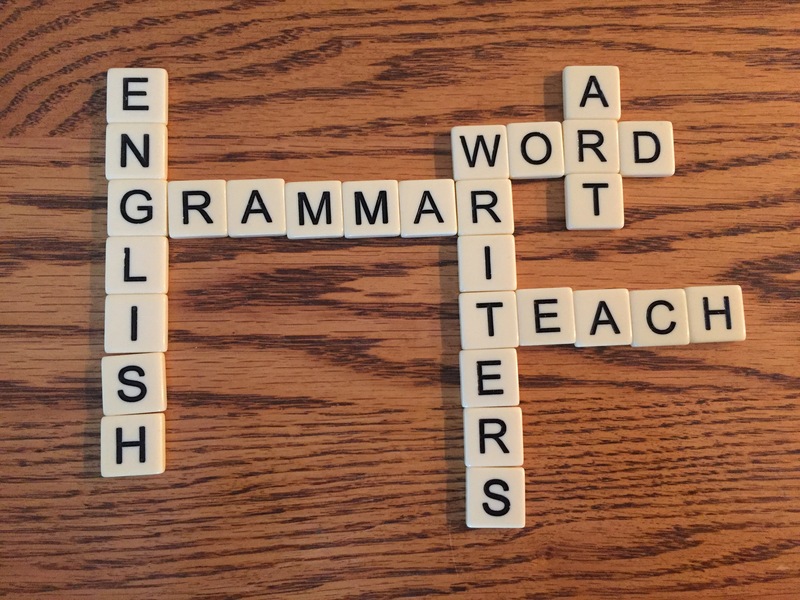 What could a process-writing, student-centered approach to teaching grammar look like? This group of short sentences led to a discussion about punctuation and the way commas, semicolons, and periods affect readers. I asked, “how would this sentence read differently if the writer had used commas or semicolons instead of periods?” We also talked about repetition and rhythm for effect. With these two sentences, I taught the term “parallel structure.” The students pointed out that both sentences included a grouping of three similar phrases or structures. The student examples led us into a deeper conversation about writing, including the use of punctuation and grammatical structures. Although my students were initially unable to name the structures, they effectively used and recognized them. Although these conversations took place in a college classroom, students can use sentence models at any level. Jeff Anderson, a middle-school writing instructor, also emphasizes teaching writing through models. His middle-school students choose sentences themselves and paste them into writing notebooks. Once they find these sentences, they use simplified grammatical terminology to create rules. Harry Noden employs a similar approach to grammar in Image Grammar, presenting writing as an art where students use words to “breathe life” into their writing. As an example, Noden writes about “painting with participles,” adding ing forms of verbs to sentences to “evoke action.” In Noden’s class, “The diamond-scaled snakes attacked their prey,” becomes, “Hissing, slithering, and snarling, the diamond-scaled snakes attacked their prey.” (4) Students imitate these structures, choosing sentences from their own writing and adding participles to enhance their original sentences with movement and life. Then, the students re-create their own sentences imitating the grammatical structures. One student’s example: “When I opened her diaper, it wasn’t what I expected.” (Mechanically Inclined) The student applied the rule to her own writing and effectively used an opener joined to an independent clause by a comma. In modeling, students see language being used in sentences that are incredibly effective, and they can practice writing well by imitating great sentences instead of fixing poorly-written sentences. Perhaps most importantly, they learn to see writing as an art instead of a set of rules to be memorized. We learn to read and write by reading and writing. It is where we discover the thrill of a great sentence. If we want to support student writers, our teachers, parents, and administrators must be informed about research in the teaching of writing. A great starting point is the National Council of Teachers of English, whose 1985 resolution clearly states that grammar exercises hinder the development of student writing. NCTE’s 2002 guidelines include suggestions for appropriate ways to teach language structures as students read and write. Simply stated, time spent on the memorization of grammatical terms, daily sentence corrections, and the diagramming of sentences is time taken away from the art of writing. Great painters study their masters, imitating strokes and mastering techniques by painting. Students must immerse themselves in good writing, practicing the strokes and imitating the structures, to make the writing their own. They need time, encouragement, and appreciation for the art of writing. Lindsay Jeffers is a former high-school English and Spanish teacher with a Ph.D. in English Education. Lindsay is a member of NCTE and ELATE. She works with the Third Coast Writing Project at Western Michigan University and teaches composition at Grand Valley State University. Thank you so much for eloquently highlighting an area of challenge for those who teach writing and the importance of considering this area from a different perspective. As an educator and a mom, I was recently very surprised when my daughter came home from taking her first SAT and told me that the most challenging part of the entire test was the grammar. It then occurred to me, as an educator, that we don’t really teach grammar in isolation anymore, nor should we do so. We believe that students are learning it through the process of mini-lessons and in the real life context of writing. It’s somewhat disappointing that the SAT is still focusing on it in this way. I also appreciated your method of choosing good writing examples from student work vs. “correcting” grammar etc. This is a challenge for new teachers to master, but essential for students to master so that they may be effective and majestic communicators in school and in life. I am also a superintendent of schools and I plan on sharing your piece with my entire faculty in the belief that they can also learn a great deal from your thoughtful analysis. Thanks for your message, Christina. It’s frustrating that standardized tests often undermine us by asking students to choose the best sentence from a series of poorly written sentences, or fix sentences with grammatical errors. I’ve seen students who are great writers really struggle with the grammar sections of these tests.